In the fir st half of the last century, in that period when Byron Herbert Reece and his family lived on the acreage now constituting the Reece Farm and Heritage Center, the months of winter were anything but idle. The land enjoyed its recuperation time, but the male occupants attended to such duties as mucking stalls, mending fences, cutting and sawing wood for cooking and warmth, sharpening tools, animal slaughter, etc. The womenfolk were busy as always with household duties, which included mending and making clothes, butchering and canning pork and beef, cleaning house, and preparing meals. Everything was in preparation for the coming seasons. Time and its relentless changes have substantially altered this scenario. Now, in the four months the Center is closed, there is a noticeable lack of activity at the Reece home place. Only occasionally does anyone appear for anything more than minor maintenance. Some work involving cleaning and inventorying intermittently occurs within the Welcome Center. Prospective brides are being met for a tour of the venue, and weddings are being scheduled for the months of the Center’s open season. The garden spot lies fallow, awaiting spring tilling. But in March the pace will quicken. Staff members and volunteers will reappear to begin preparations for the April opening. The gift shop stock will again be restored to its rightful places, and new items for sale will be added. The exhibit areas will be cleaned and made ready for public viewing. The grounds will be cleared of fallen limbs and other debris. Volunteers will be contacted and scheduled, and new ones recruited. All in anticipation of Thursday, April 7th—the very first day of the 2016 open season, the fifth for the Reece Farm and Heritage Center. Y’all come! You will be more than welcome. Thanks to the creative efforts of Union County kindergarten classes, a dozen or so scarecrows have taken their stand at the Reece Farm and Heritage Center. Instructed and assisted by their teachers, these students had great fun in dressing and assembling their respective scarecrows, leading to an impressive variety. 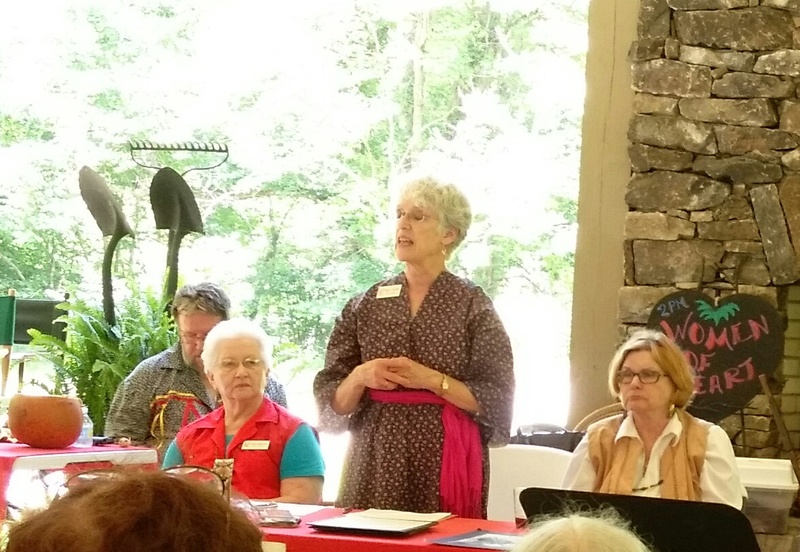 This project was a joint venture involving the Reece Society’s Special Events Committee, chaired by Shirley Cole, and the Union County School System, with kindergarten teacher Jennifer Turner as the coordinator. Mrs. Cole supplied the materials and suggestions for assembly, and the children and their teachers put together the scarecrows for public display. The families, friends, and general public are invited at no charge to visit the Reece Farm in the remaining open days in October to see the handiwork of these students. Should visitors also wish to tour the Farm exhibits, they may do so for a fee of $4.00 for those 12 and older. 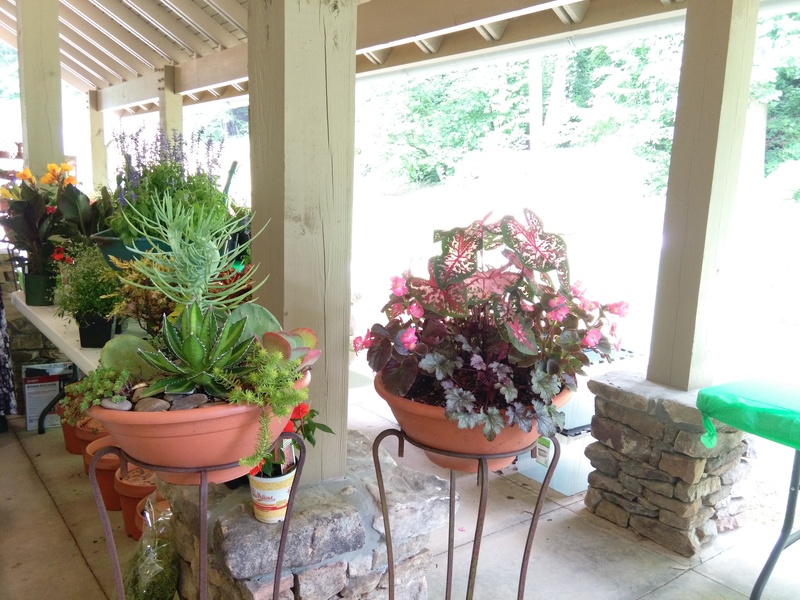 The Reece Farm and Heritage Center is located one mile north of Vogel State Park on Highway 129, and is open Thursdays through Saturdays from 10:00 to 5:00 and on Sundays from 1:00 to 5:00. Visiting the Mountains this Fall? Be Sure to Include a Visit to the Reece Farm! 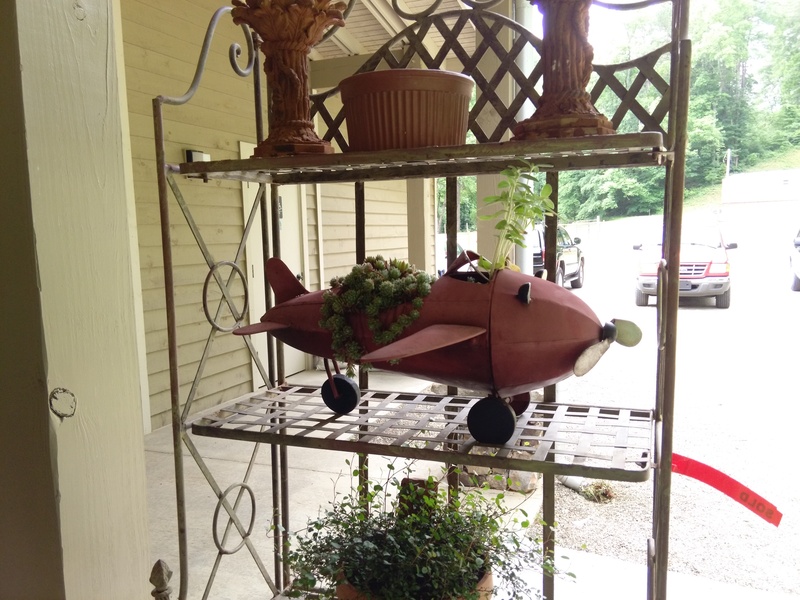 If you are visiting the North Georgia Mountains this Fall, don’t miss a stop at the Byron Herbert Reece Farm and Heritage Center. It is the perfect pause in your busy travels in the area. 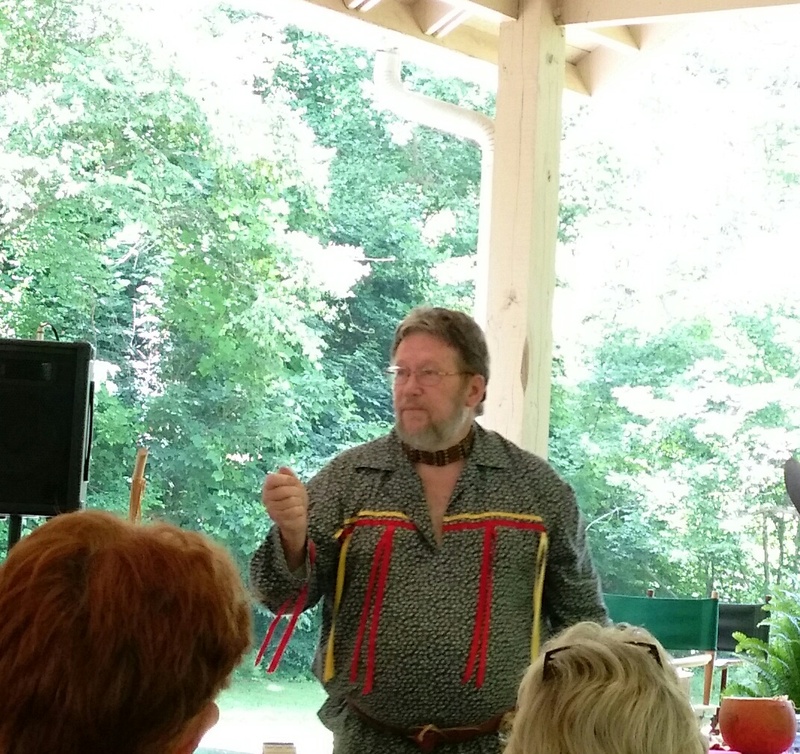 Visit the exhibits to see how Georgia’s Mountain Poet lived and worked and how farming was done in the mountain area during his lifetime. 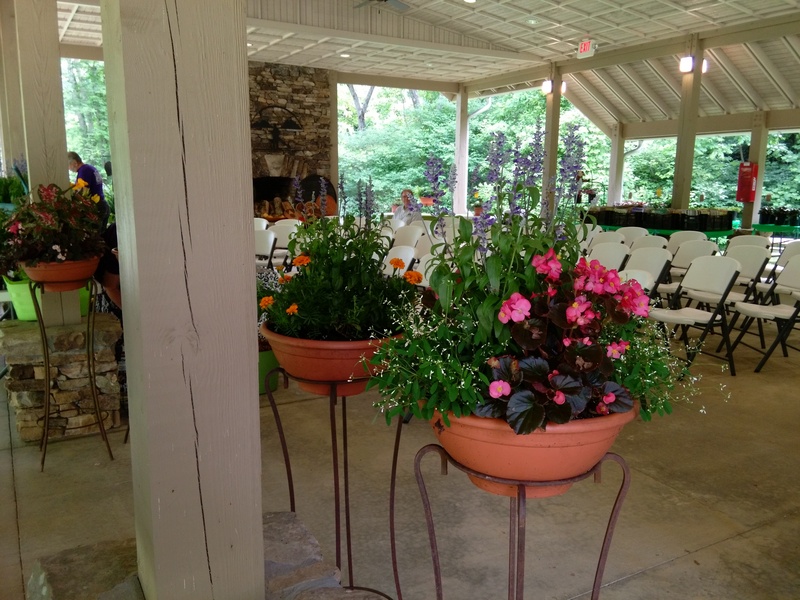 Wander through the gardens and walking paths, enjoy the sound of the creek and the beauty of the season, and bring a picnic and dine at a creekside table. Be sure to visit the Gift Shop where you will find beautiful locally produced items so you can get a head start on your Christmas shopping. It was a perfect summer day at the Byron Herbert Reece Farm and Heritage Center to celebrate the 2nd Annual ‘Maters and Music. 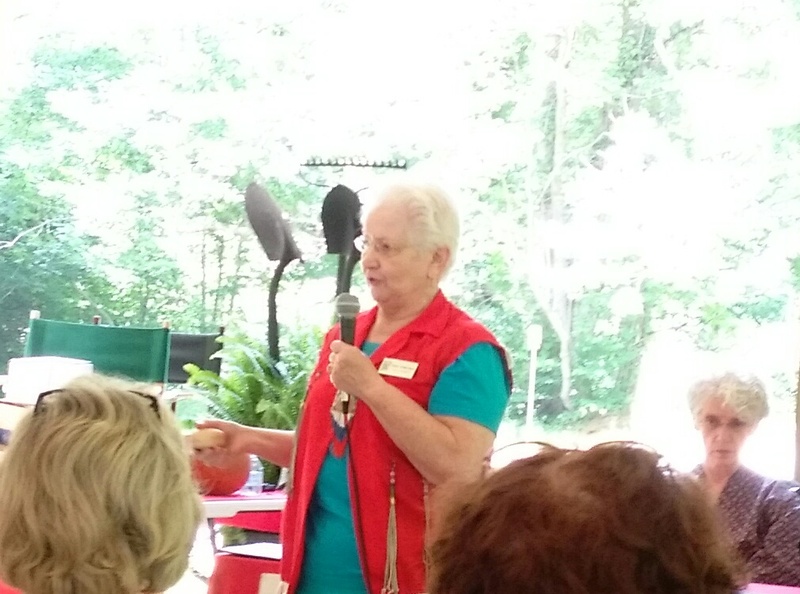 The valley rang with music from two great local bands, The Shady Grove UMC Bluegrass Band and the Bennie Shook Family Band, while volunteers served juicy tomato sandwiches with iced tea. There was a lot of toe-tappin’ and lip-smackin’! White bread, mayo, farm-fresh tomatoes, and a little salt and pepper – Ah, perfection! Reece Farm Volunteers ready to create sandwich magic. Shady Grove UMC Bluegrass Band boasted two fiddle players. Enthusiastic visitors enjoyed the music and ‘mater sandwiches at the pavilion. 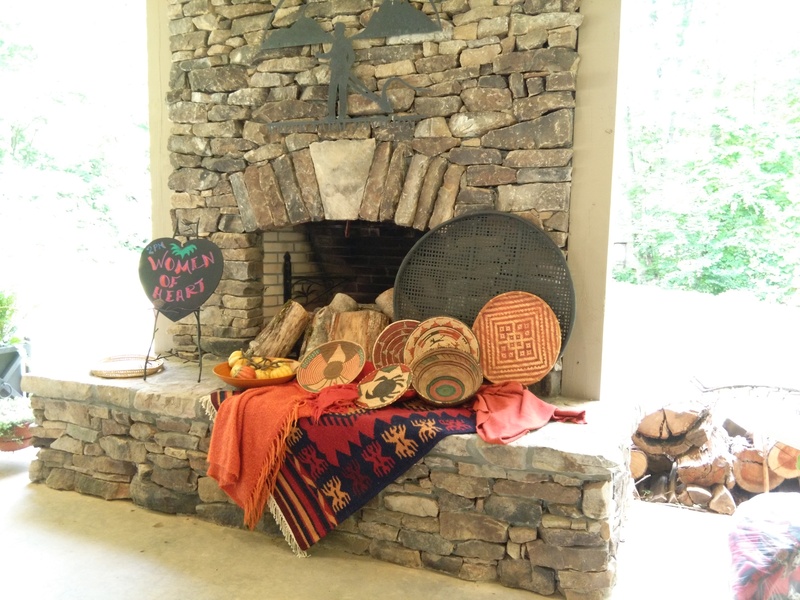 Mountain Gardens Day Provided Food for Body and Spirit! 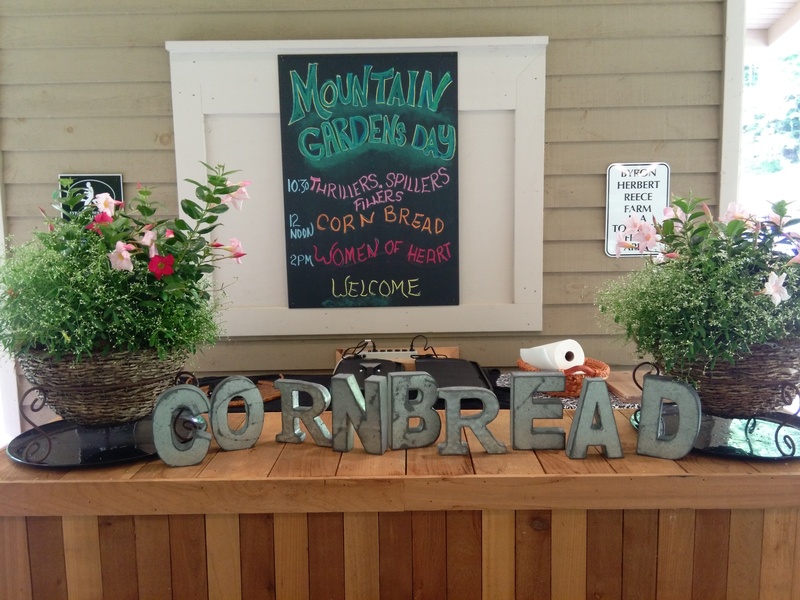 On June 13th, lucky visitors to the Byron Herbert Reece Farm & Heritage Center had a chance to sample more than a dozen different cornbread recipes prepared by some great mountain cooks. The cornbread was accompanied by other favorites – soup beans, green onions, butter, loganberry tea, and buttermilk punch. 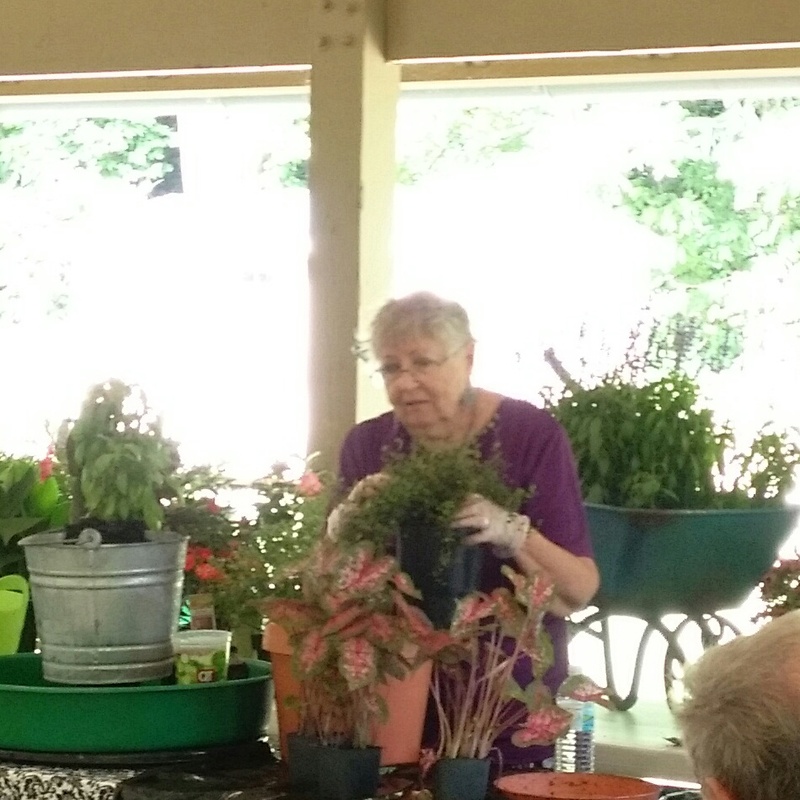 Diners were able to eat next to the creek or in the pavilion decorated with spectacular examples of creatively crafted planters for summer, plus plants and garden books available for sale to help create garden masterpieces at home. 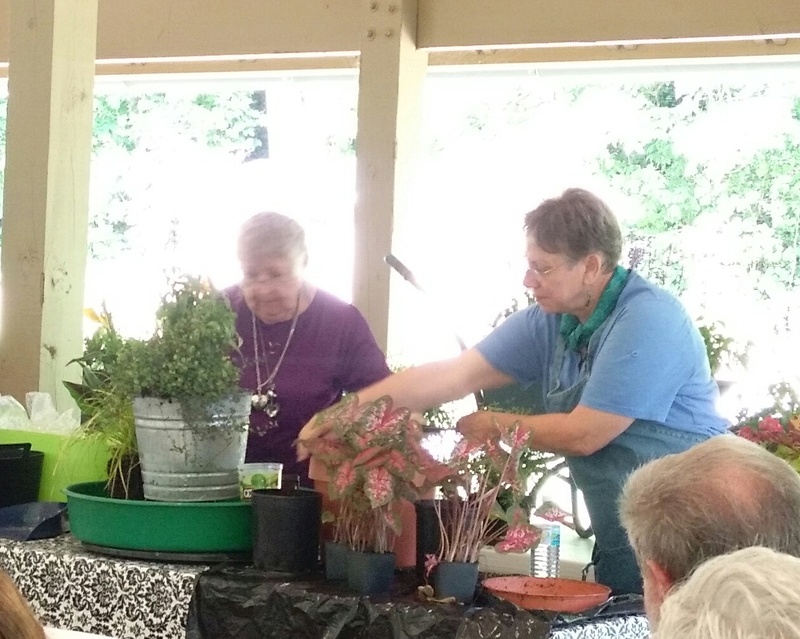 Master Gardner, Shirley Cole, demonstrated how to create them using “thrillers, spillers, and fillers.” Six lucky visitors took home one of Shirley’s beautiful planters as a door prize for the event. 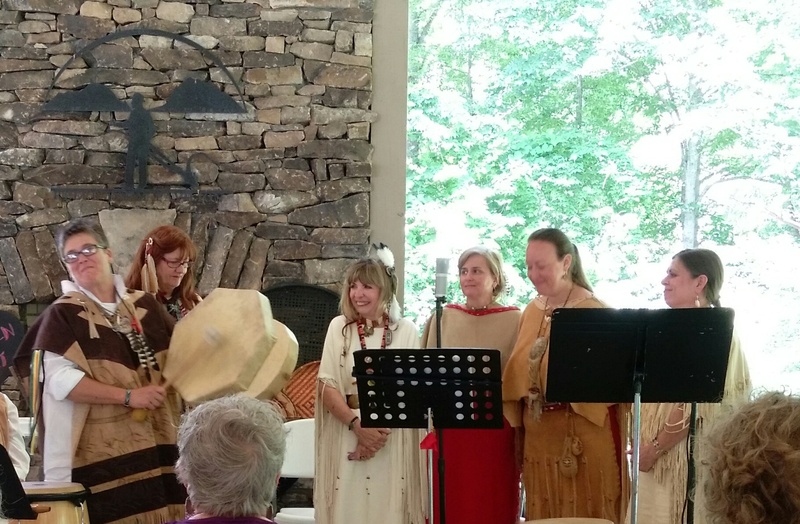 After the garden demonstration and cornbread tasting, Women of Heart provided a beautiful concert of native Cherokee stories and music. It was a magical day! Check out the photos below. Make plans now to visit and share a day with your family and friends at the Reece Farm at one of our special events. Eric S. Sutherland, poet, community activist, and author of pendulum, judged over 100 poems for the 2015 Bettie Sellers Poetry Contest, and he selected Cindy King’s (Lancaster, TX) “Prelude and Seating of the Mothers” as the winning poem. Those receiving Honorable Mentions include “Giving up the Bones” – Lynne Shapiro, Hoboken, NJ; “Déjà vu” – Pat Landreth Keller, Hawkinsville, GA; “To Lake Chatuge” – Karen Paul Holmes, Atlanta, GA; and “I Have Two Legs” – Ronnie Hess, Madison WI. Congratulations to the winner and those who received honorable mention. Cindy King’s work has appeared in Callaloo, North American Review, Black Warrior Review, American Literary Review, jubilat, Barrow Street and elsewhere. Her poems can also be heard at weekendamerica.publicradio.org, rhinopoetry.org, and bhreview.org. 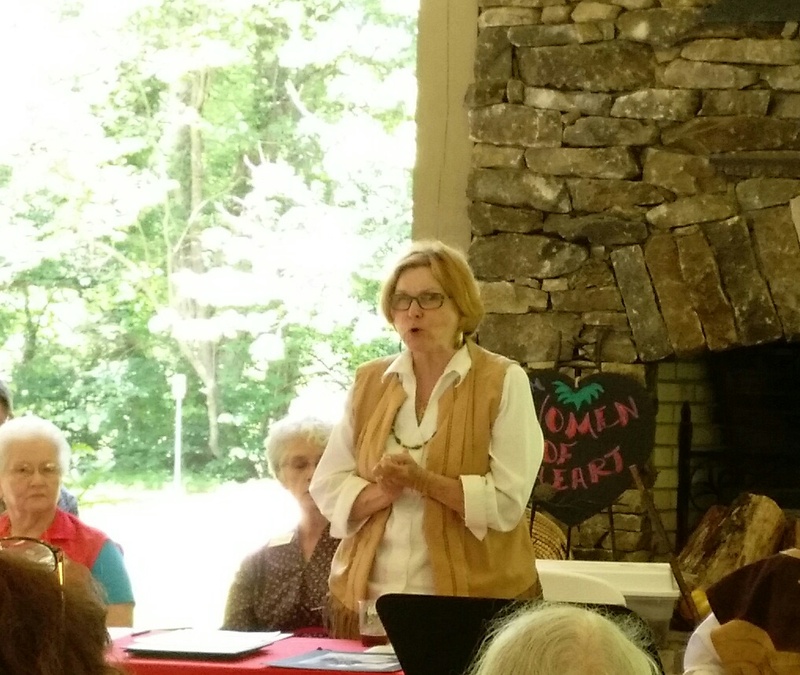 In 2014, she was awarded a Tennessee Williams Scholarship to attend the Sewanee Writers’ Conference. She is the recipient of the Agha Shahid Ali Prize in Poetry from the Fine Arts Work Center in Provincetown, where she will continue to revise her book-length poetry manuscript this summer. She has also been selected to be an NEH Scholar and will participate in the Black Poetry After the Black Arts Movement Summer Institute at the University of Kansas. Originally from Cleveland, Ohio, she currently lives in Texas, where she is an Assistant Professor at the University of North Texas at Dallas.